Whether you want to go by bus, train, bicycle, canoe, kayak or on foot, you can find a guided tour of New England that you'll like. A guided tour of New England is a good way to visit and explore the region, particularly during the most popular seasons. 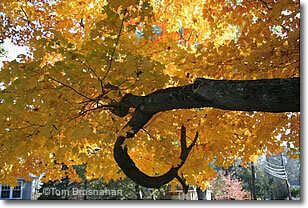 In the autumn, motorcoach (bus) tours are a good, relaxing way to enjoy the brilliant fall foliage. A bonus is that the tour companies have already reserved accommodations for you. Because accommodations in New England's most beautiful areas are often fully booked well in advance, taking a tour saves you from the hassle of working to find available hotel rooms in all the places you want to visit. 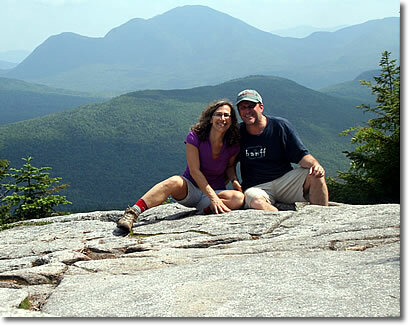 Besides the familiar escorted group tours, New England offers many outdoor expeditions. Hiking, biking, canoe and kayak tours are popular in summer, especially in the northern New England states of Vermont, New Hampshire and Maine. The name says it all: this Cape Cod-based travel company, a division of Northeast Unlimited Tours, Inc., offers several excellent one-week tours to show you the beauties of New England. For special consideration, contact my friend Ms Debbe Kalweit (that's "debbie") directly by email or phone to book your tour: 1 800 759 6820 or +1 774 413 5251. 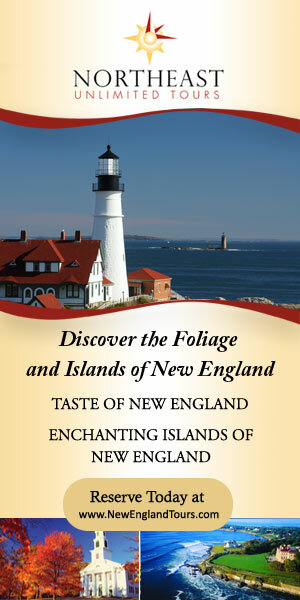 Be sure to mention NewEnglandTravelPlanner.com when you do. Here's a video of the tour highlights. My friends Steve Jermanok and Lisa Leavitt operate perhaps the best boutique travel agency in Boston. Steve has had a long and distinguished career as an award-winning professional travel writer, guidebook author and consultant to the travel industry. a favorite time to tour.